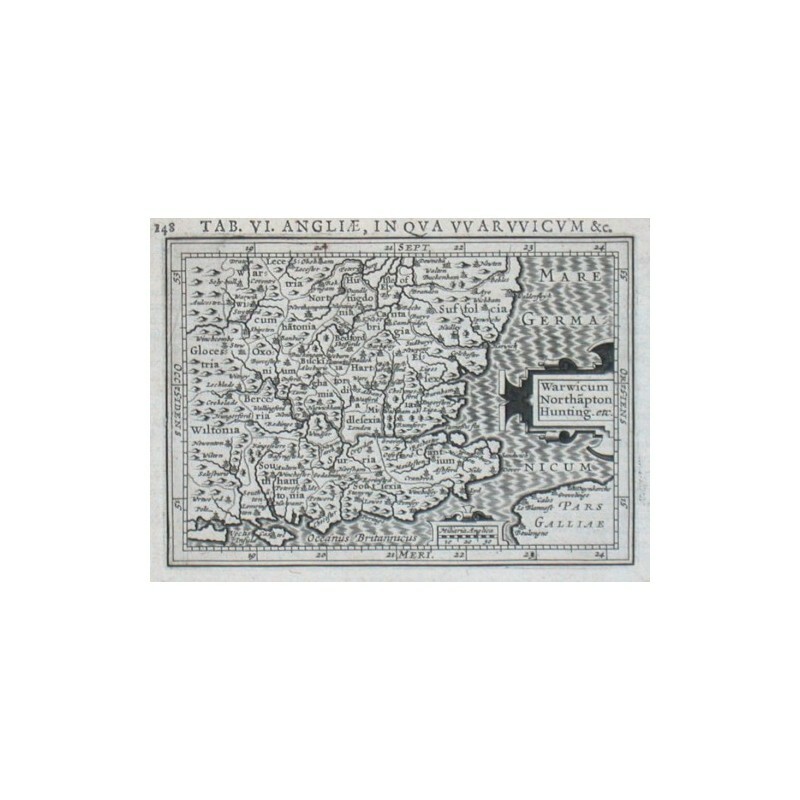 > Antique Maps and Views>Europe>Great Britain and Ireland>Southeastern England>Warwicum Northapton Hunting. etc. "Warwicum Northapton Hunting. etc.". Copper-engraving by P. Bertius published by J. Hondius, 1616-18. With small ornamental cartouche and "Miliaria Anglica". 9,5:13,5 cm (3 3/4 x 5 1/4 inch.). Koeman III, map 5114:342, ed. 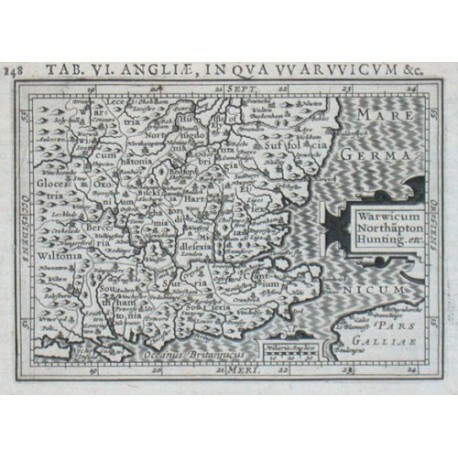 342:01 - Map of Suffolk, Essex, Kent, East and West Sussex, Hampshire, Isle of Wight, Berkshire, Oxfordshire, Buckinghamshire, Bedfordshire, Hertfordshire, Cambridgeshire and London.